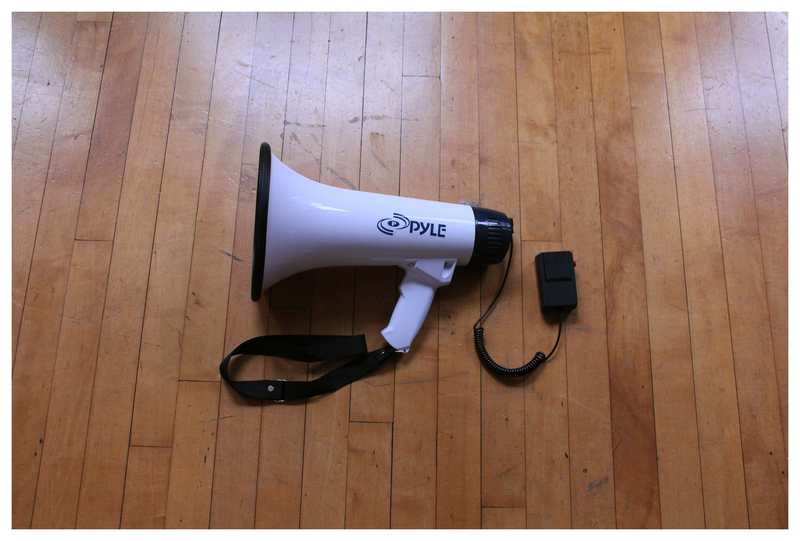 I’ve been doing FMBRs for almost 2 years now and I can not begin to tell you how bad / long I have wanted a megaphone. Corralling all you drunk riders to turn left and the drop of a dime, while following a preset route, while obeying all traffic laws, while trying to have fun yourself, while trying to have a conversation, while trying to be aware, is a major task for ANYONE let a lone me; a SUPER quite individual. These rides have taught me to speak up for what I want to see happen and now that I have a megaphone, it’s gonna be even easier! Dude, I programed wolf howls into it. This is gonna be fun..